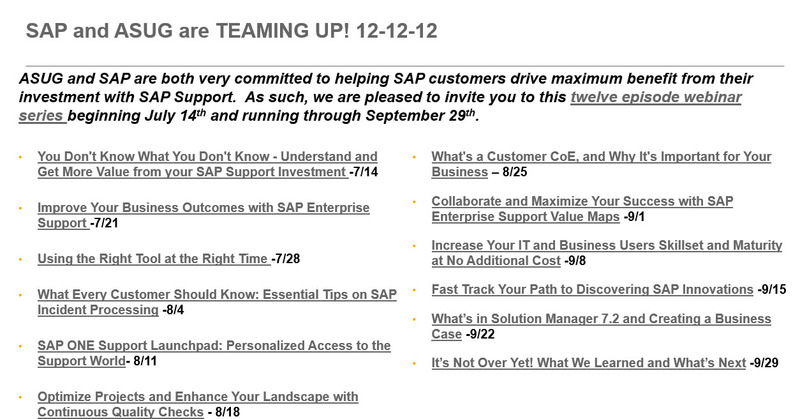 Getting More From Your SAP Support Investment – What You Missed During 12 Episodes in 12 Weeks ! ASUG continues to focus on helping SAP customers drive more value from their SAP investments today and tomorrow. As part of this ongoing commitment to helping our members, ASUG and SAP’s North American Maintenance Go-To-Market team coordinated to deliver a 12 episode webinar series focused on helping customers understand and get more value from their SAP Enterprise Support investment. We kicked off a record breaking webcast series on July 14th, and ran these webcasts every Thursday at 12 PM EST culminating on September 29th with a review of past sessions and what’s to come. We had over 5,000 registrants for this series and received great attendee feedback. In case you missed the series, you can review the episodes here and later in this blog you will learn about a bonus resource that we learned about during this series. 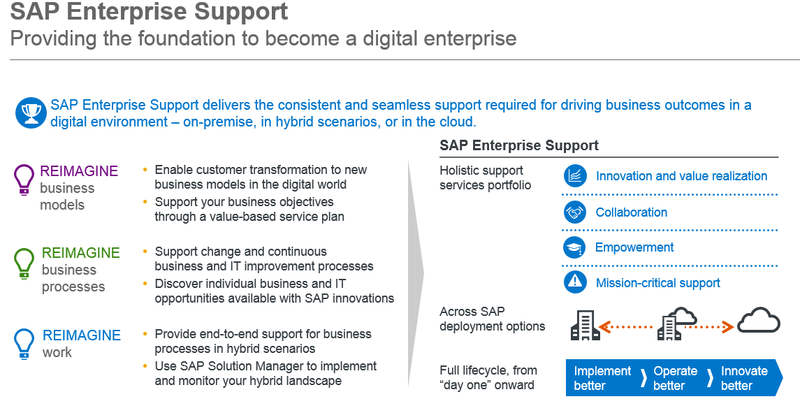 Improve Your Business Outcomes with SAP Enterprise Support – Key takeaways from this webcast included preparing your business to innovate, getting ready to operate in hybrid landscapes, and gaining awareness of ways to utilize SAP Enterprise Support to drive valuable business outcomes. Using the Right Tool at the Right Time – Key takeaways from this webcast included how to quickly find the right services and tools to help overcome business challenges, learning how to identify areas of IT and business improvements, and setting up proactive notifications for virtual learning and training. 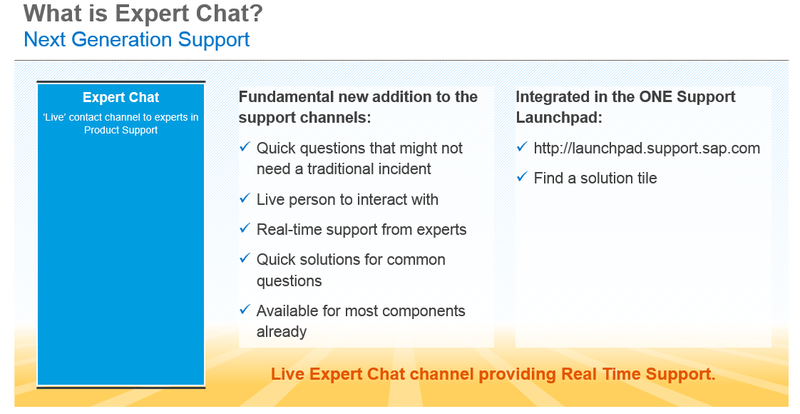 What Every Customer Should Know: Essential Tips on SAP Incident Processing – Attendees of this webcast learned how to get the most from SAP PRoduct Support, how to interact best with support, and found out about the new tools available to leverage with support such as Schedule an Expert and Chat. 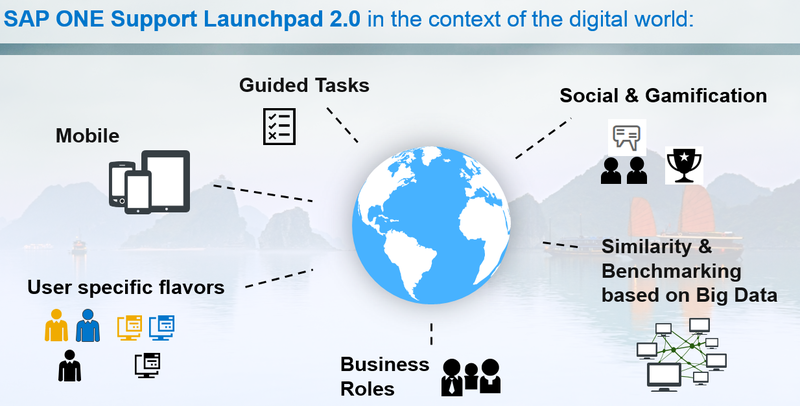 SAP ONE Support Launchpad: Personalized Access to the Support World – This webcast focused on providing information about the SAP ONE Support Launchpad, why it was created, what’s next, and how to get involved in piloting new features and functionality. Optimize Projects and Enhance Your Landscape with Continuous Quality Checks – in this webcast, we learned what a CQC is, why it is beneficial, when you would use it, and how to request one. What’s a Customer Center of Excellent (CoE ), and Why It’s Important for Your Business – Key takeaways included understanding the challenges of today’s CCOE, bringing value to the business through proactive and innovative approaches for IT Operations, and moving from “just a service provider” to a business enabler, through mature and innovative collaboration with the business. 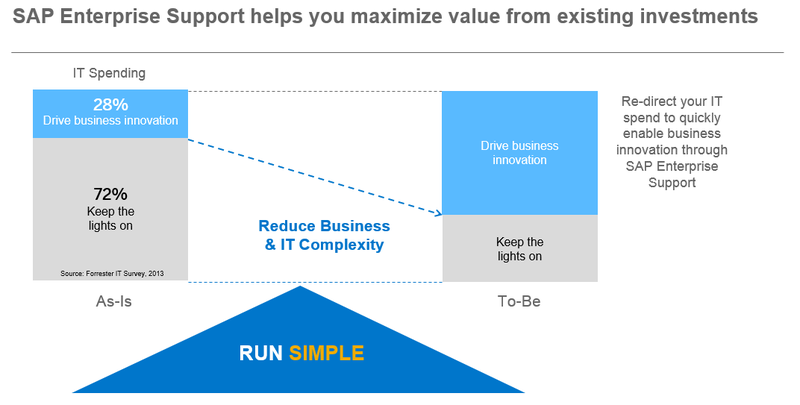 Collaborate and Maximize Your Success with SAP Enterprise Support Value Maps – Why are Value Maps so….valuable? They provide you with a centralized access point for all relevant offerings, you can get connected and exchange with SAP Experts and other interested customers, it provides flexibility and transparency of offerings that can help you now and in the future, and it’s available when you want it! Increase Your IT and Business Users Skillset and Maturity at No Additional Cost – In this session, we learned how to use the SAP Enterprise Support Academy, which is part of your SAP Enterprise Support investment, to build both IT and business users skillsets through the learning and educational offerings available. Fast Track Your Path to Discovering SAP Innovations – Customers were able to learn about how to use the SAP Innovation Discovery Tool to easily search for new functionality and innovations, and find out how to turn the adoption of those innovations into tangible business value. 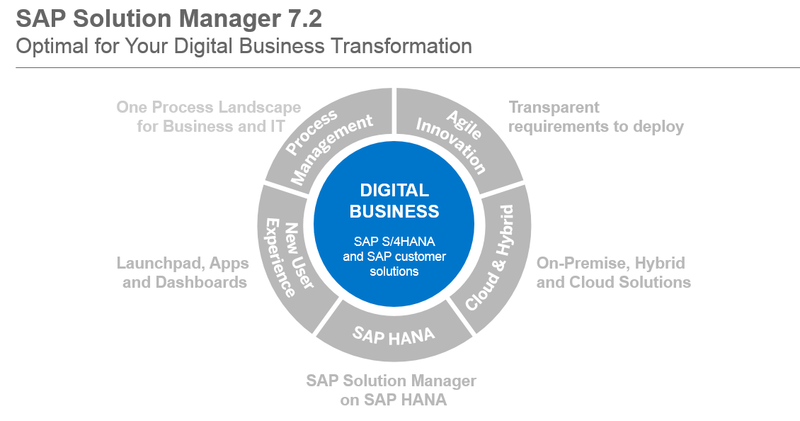 What’s in Solution Manager 7.2 and Creating a Business Case – How can you make a business case to move to SolMan 7.2? This webcast provided insight into the great new features of SolMan 7.2, and gave customers the ability to join a pilot on net value calculations to provide IT and business benefits on efforts required. Here was something that we also discovered during this series. We learned about a hidden gem, a nice 32 page booklet on “ Getting Started with Enterprise Support – Essential Recommendations from SAP ”. This easy to read booklet talks about the four dimensions of SAP Enterprise Support– collaboration, mission-critical support, empowerment, and innovation and value realization. Reading this booklet will give you a jumpstart into these topics, so that you can take full advantage of your SAP Enterprise Support investment. I think my biggest takeaway was a mindset shift in thinking of SAP Enterprise Support as more of part of your extended team. The SAP Enterprise Support Advisory Center is there to assist you, at no additional cost, with defining the right services and tools to help you meet your goals across IT and business. Leverage them today, save time and money, and get more value out of your SAP Support investment. What’s Next – Stay Tuned ! Due to great success and high interest in our ASUG 12 episode series and the very positive feedback from webcast attendees, additional webinars focused on ” Value from SAP Support and Maintenance ” are being planned by ASUG for early 2017. Stay tuned for more to come, and if there are any areas that you would like to see covered in future sessions, leave a comment below. Our 12 Episode webcast series was so well received by our ASUG members that SAP has launched a replica of them and promoted them to all the other SAP User Groups around the world on October 26, 2016 , so if you are interested, you can sign up via this link. See you in 2017 for our next season of episodes – Stay tuned for more and watch for our trailer later this year. Thanks for the wrap-up and links! I had to miss these and replays will be helpful. I hope this can be moved under the “Support” primary tag after we get it (somehow it got lost in migration). It’d be a pity if this blog is missed by the target audience due to the BT tag.